Do you like robots, aliens, monsters, and misfits? 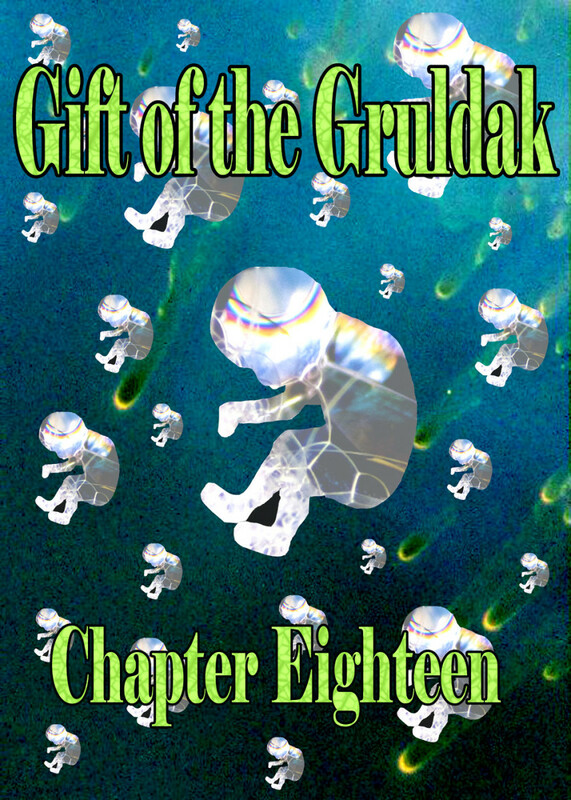 Why not read the first installment of Gruldak? This serialized science fiction novel about what it means to be a person is free to read online. 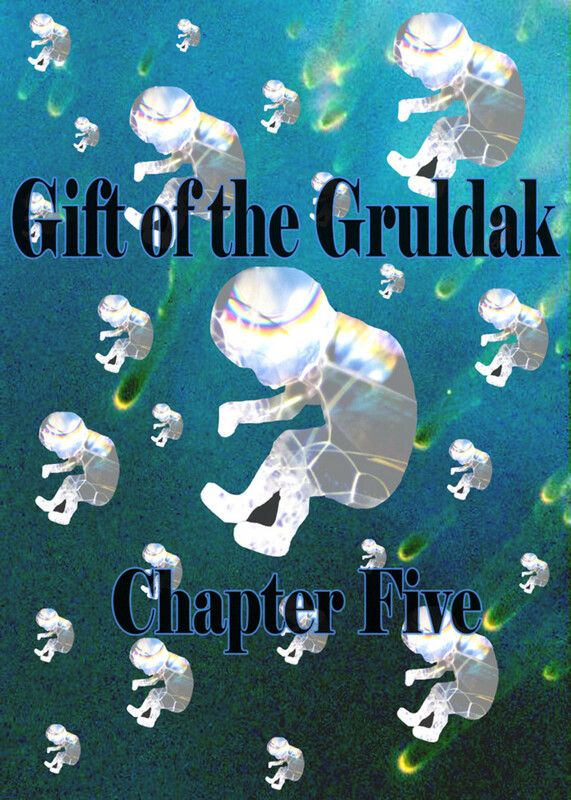 Find out what strange new twists the copy of Angel Capricorn Wang brings to Kevin's and Guido's lives in chapter seven of Gift of the Gruldak. Later that night, I awoke to a blood-curding scream. Guido brought the lights up at exactly the same moment my eyes opened. I sprung out of bed, racing toward the awful sound. Guido was yelling, "Kevin! Kevin! Help!" The scream burst out again and kept on going. I charged through into the space between apartments and saw a naked man on the fake grass. He was clutching his head and occasionally shrieking. I could not process this while the strongest fear I'd felt since waking up inside Guido burnt brightly down my spine. "Grandpa!" I screamed, my voice blending with Guido's as she blared out, "Kevin!" Grandpa cut off his screaming instantly, gulping in air and trembling. He looked up at me and sobbed, "My heart! My heart!" I hadn't seen terror and pain like that in anyone's' eyes since I was twelve. Suffocating in his frightened young eyes, the pull of gravity brought me squatting beside him. His need like magnetism, my arm sprung around him and started the two of us rocking like parts in a broken clock. As he slowly calmed I brought our rocking to a stop and moved a few inches away from him, still touching his shoulder. "We're really dead, you know," he muttered. "We're alive. We're copies but we are alive," I said, taking his hand in mine and pressing it against my chest, where he could feel my heart pounding. He frowned in familiar irritation, then made a small wounded noise and pulled away, terror returning to his eyes. "I don't understand," he said, looking down at his own trembling hands before snatching up one of mine and pressing it to his bare front. It made no sense, his skin was warm albeit somewhat clammy but I could feel nothing but his shaking. I pressed my ear against his chest as he held my head to it like he was clutching a teddy bear. There was no familiar lub-dub noise. None. And my ears were a lot better than the ones I'd been born with. He was totally still aside from his shivering but I only heard some random gut gurgles. Then it occurred to me that my ears were a lot better than the ones Kevin Wang had been born with. "I didn't do anything, our new companion went to bed and I turned down the lights and the ambient noise level." "I started meditating," the young man said dully, "and once I was relaxed..."
"You couldn't hear or feel your own heartbeat," I finished for him as he trailed off. "Guido, what did you do? Why doesn't Grandpa have a heartbeat?" "Remember how you asked how long you would last?" Suddenly it dawned on me, Guido would never purposely make a friend with a close expiration date. "Guido, don't be afraid. Why doesn't he have a heartbeat?" "I didn't want him to die!" "Die? I was gonna die?" he asked. "In a few thousand years," I interjected before Guido could say anything else. "Yes," Guido said, "I couldn't bear to create another short-lived companion." Guido cried out, "I didn't know it would hurt you!" He wiped his eyes and nose, looking around for somewhere to rub off the mess. He said, "Other than feeling like I've been fellating steak knives, everything feels fine." Guido gasped, "What does that mean?" "His throat is sore," I replied. Perversely, I felt a surge of pleasure realizing I knew something about him that she didn't. Then I froze, pondering why it pleased me so much. We had a long discussion about making changes to people without asking permission. Guido promised not to rearrange anyone else's circulatory system or anything else without getting approval from the person in question first. She seemed sincerely contrite. After that single night of interrupted sleep, my grandfather’s duplicate adjusted much better and more quickly than I had. That was unsurprising, as he had me there to explain things and Guido had already learned how to speak English. Getting some memories of memories rearranged in his head by our housing probably helped, too. It turns out I, or actually Kevin Prime, the original, had died fewer than nine years after the Gruldak had sampled my patterns. It also turns out they used a sample of Grandpa taken almost forty-five years later. While medicine had progressed beyond the point it had been at when I got sampled in 2054, at pushing a hundred and thirty years old, the maximum human lifespan was still only a few years more than that for people born in the 20th century. While he missed his remembered family he was thankful to be young and strong again with his whole life ahead of him. He relished his pain-free, powerful body. That’s not to say he didn’t see the downsides of our situation but he was even more optimistic about our ability to make the roaring best of things than I remembered the original to be. He was also actually much wiser. The one change I didn’t like was the look of weary, hardened, beaten sadness he’d get sometimes at first. But he’d glance at one of the mirrored “windows” or I’d catch him just watching me as I puttered about doing nothing and that look would be washed away by transforming joy. Within days, I stopped seeing that scarred look at all. His sense of wonder became almost unending. That is, until explained to him about the transporters. “Holy crap, Kevin, why did you wait so damned long!” he yelled, standing on the grass between the rows of tiny plants the rapidly reproducing purple robots had just planted. “It didn’t come up,” I said, realizing it was possibly the lamest excuse in the known and possibly in the unknown universe. “I figured Guido’d told you,” I bleated. So we had a sit-down with Guido at her primary communication organ, the one in my dining room table and figured out what to do about it. “We need to make communicating to earth people our very first priority,” Grandpa said. “Spell it out for me old man,” I grumbled. “That’s putting it bluntly,” I replied. 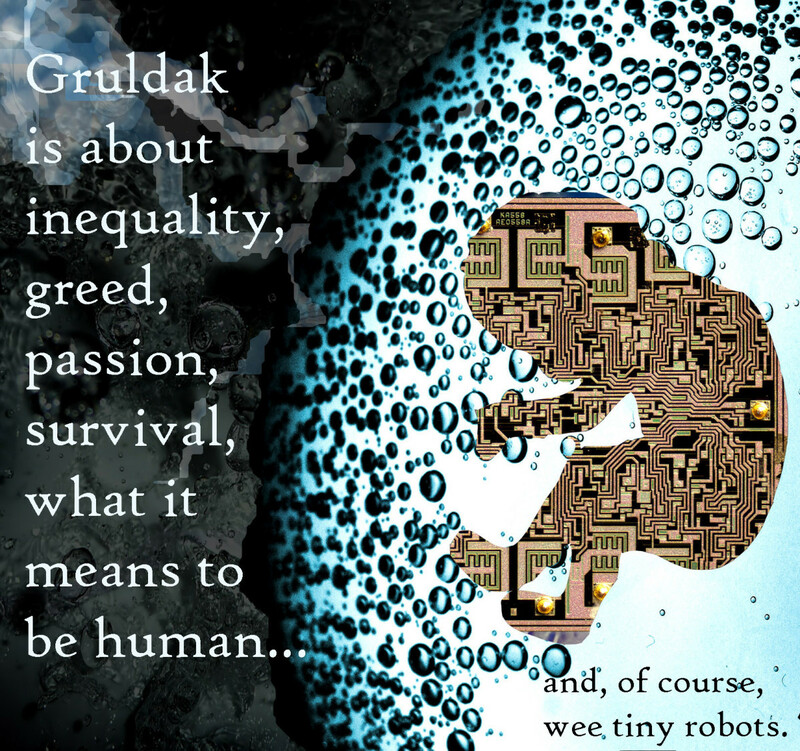 The Gruldak quickly worked out how to run a simulated binary partition on the matrices of data nano bots so they could communicate with earth-style computers. Guido and I worked on making the audio and video recording equipment so we could have a message ready to send as soon as the Gruldak had the binary emulator program ready. You wouldn’t believe some of the things I worked with to achieve a functioning video camera with a microphone. Guido actually grew most of the parts somewhere inside her. It was an odd feeling watching a person changing air wave vibrations into electrical signals but I think it may have been weirder that Guido “birthed” a microphone cover from the “fridge.” She can apparently sort elements that she’s taken in from the soil and concentrate them in the combination, density, and shape she desires. After she directed the gardening robots to bring her ores from the surrounding planet we soon had a functional supply of just about any building material we could want. We could also program a plant to produce a specific item such as a cog or a multipurpose substance. We grew a heat resistant polymer that can be shaped at room temperature for the first 72 hours after picking it from the plant. Guido could do all of that but there was no reason to put her to all that work. Besides, it allowed us to produce clone-stock or seed-stock for future generations and Guido could occupy herself with more important activities. Anyway, she needed to stick to the all-important task of message making. We forgot about the small difficulty of programming language; the difficulty being that none of us knew it. We could emulate a binary programmed computer but we didn’t know earth binary much less programming language. We figured out what to say to humanity about the transporters, together. We’d hit a wall so I finally gave up and went outside to try to clear my mind and possibly unwind it a little. If we couldn’t digitize our message and do so in the correct language, we couldn’t talk to earth machines. I walked outside to clear my mind and to maybe unwind it a little. The man I’d been calling Grandpa somehow always managed to find time to work in his garden. As eager as he’d been to start doing something about the transporters, he knew when he was done providing useful assistance and when he’d descended to meaningless, unproductive worrying. I really wish I could master that. “What delights you today, Grandpa?” I asked, seeing him smiling down at a tiny green sprout, one of tens of thousands coming up in neat but not straight rows of rich topsoil. “It’s not kidnapping, it’s duplication,” I said, flashing back to earlier conversations with Guido. "You mean before you found out you died?" “No,” I said, starting to roll my eyes a little. I really did feel like a teen again. 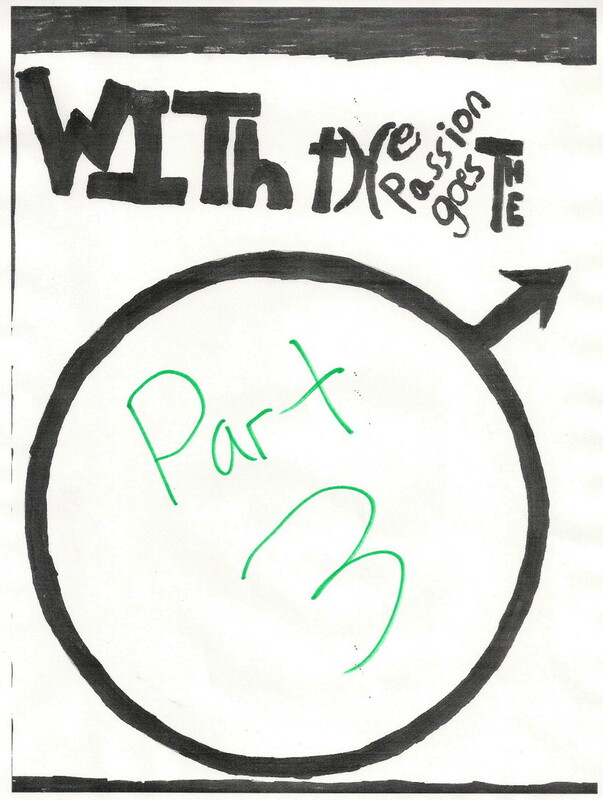 The details were different from the first go but the gist of things felt the same. Even the same kind of person took the time to lecture me. “But we could duplicate their loved ones, too,” I said, already realizing it was a stupid thing to say just before I hit the second ‘o’ in too. “I didn’t have anyone and I came out OK,” I said, sounding a little defensive, even to myself. I said, “By all means,” and Angel nodded, squatting on the grass path near his little plants. “It’s more than that. You have all of his thoughts and memories and dreams and sorrows,” I said. “But then my grandfather is truly dead, too, isn’t he?” I asked, sitting down in the strip of grass beside him. 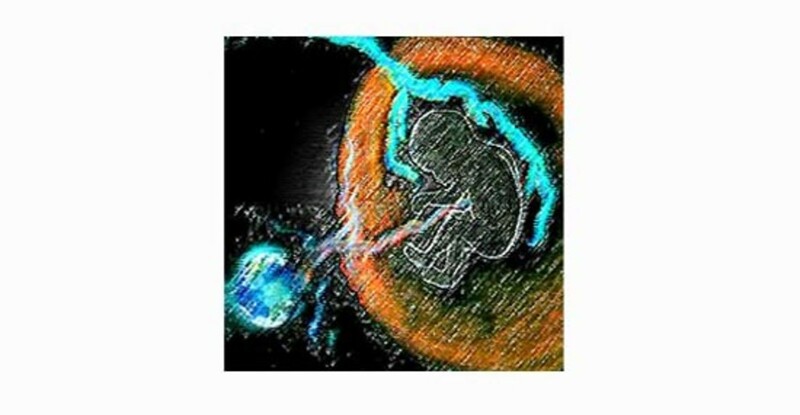 Even age and time and getting run through a biochemically correct 3d Xerox machine with creative ideas about human anatomy who happened to be my best friend hadn't made him any less of a wise old man. It drove me funking bonkers. Join Kevin, Cap, and Guido as they struggle with computers that can't talk to each other. Meet the alien robot army invading earth to save humanity from itself. Learn about the dangers of cleanliness. How Should They Word The Message To Earth? I just saw more of the series and had to go follow up with the rest. Lots to think about.